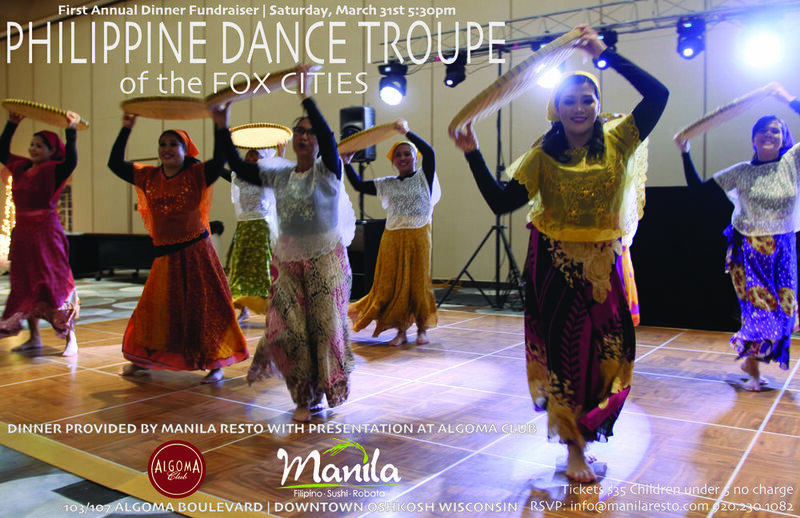 Join us in our first annual fundraiser for the Philippine Dance Troupe of the Fox Cities! Dinner will be provided by Manila Resto with a presentation from the Dance Troupe at Algoma Club! Tickets are $35 per person | Table of 8 $250 | Children under 5 are free. Cash bar will be available to guests. Tickets are limited so reserve your spot for this wonderful event! Dedicated to preserving and promoting the Philippine culture through the variety of dances, while providing community education and entertainment.